Now I understand first-hand what The Bubble refers to as moo-ness. 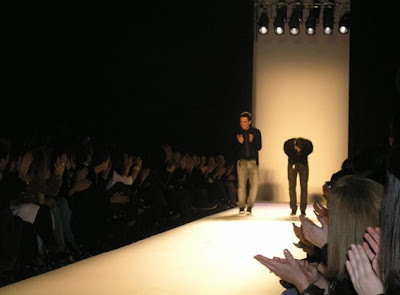 You know, that incredible sense of fatigue and exhaustion one suffers after fashion week. It seems Alecca is in the same state too, as I read in her last post. But I couldn't leave you without a healthy dose of fashion week pics, right? 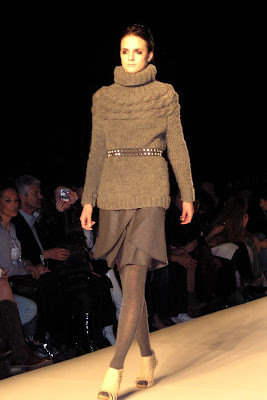 I've already posted about my unfortunate encounter with some certain Crocs boots on the runway last Saturday, so let's take it from there, shall we? Vassilis Zoulias Old Athens is the full brand name, and such a fitting one too. 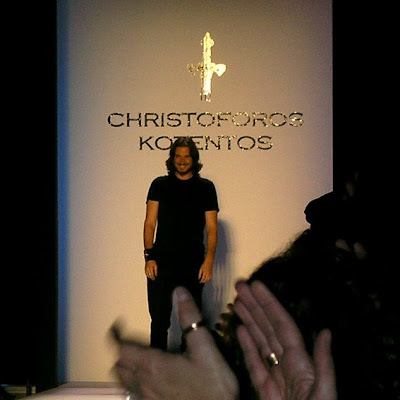 Vassilis Zoulias gave us just what we needed in these times of crisis: Tight pencil skirts, little black dresses, silk and cashmere, old school glamour and fabulous clothes! The last show of the second day was a bit controversial, at least for me. Although I admired many of the looks and the inspiration behind them, I couldn't get over the feeling that I had seen it all before. 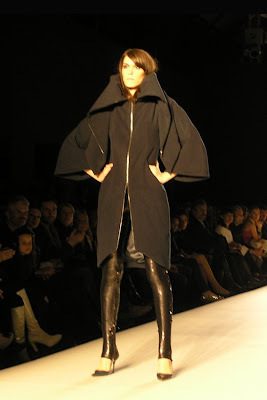 The huge coat with an equally huge collar modeled with the model's hands on her hips? A bit Victor&Rolf. The pants suit with big shoulders? Balmain via Margiela, much? And before you make the same thoughts, I also tried to justify Kotentos' choices by saying to myself that EVERYONE is doing a big shoulder at this particular moment. But the shape is just too damn distinct! I just can't stop thinking of Balmain everytime I see the pictures. 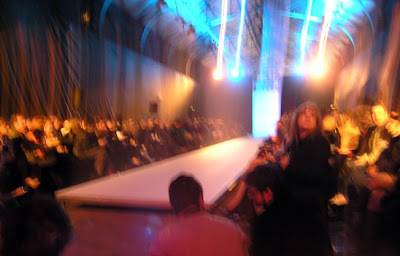 So, this was what I saw last Saturday, the second day of Athens Fashion Week, and what I thought of that. I'd love to read your opinions. In the morning. Going to bed ASAP. Pics and commentary from the third day will be posted tomorrow. Oh you did such a better job with your camera than I did with mine! Yes my dear, exhausted like you can't imagine (obviously you can!) Hope we both get some good rest tonight. Great pictures Lopi, thanx once again for the invitation. great coverage lopi! really anxious now for your next afw post! Amazing photos, Lopi! And I'm even less objective than you: I loved everything from Mi-Ro AND Vassilis Zoulias.